Psst! Do you want to bring a little joy into a caregiver’s life? “How do I know if I know a caregiver?” you might ask. Good question. A caregiver is someone who bears the responsibility of taking care of someone who can’t take care of him or herself. Family caregivers fall into one or more of the following categories. Some caregivers take care of the emotional needs of a parent or spouse who resides in a care facility. In addition to the caregiver’s normal life, he or she may spend time calming down an anxious parent or spouse who suffers from dementia or Alzheimer’s. This involves a commitment to show up in person or by phone when a crisis arises. Emotional caregivers often get overlooked because professional caregivers take care of the physical needs of the patient. But helping a loved one stay emotionally healthy can take a toll on someone. How can you bring joy to someone who cares for another person’s emotional wellbeing? Let the caregiver know that you care. This kind of caregiving can often last long term, and caregivers start to feel isolated and discouraged. Send encouraging cards to them. Share words of affirmation. Pray with them and for them. Listen without giving advice. Other caregivers must care for the physical needs of a loved one. This may include anything from lifting, bathing, helping with personal grooming, dressing, and feeding. Physical caregivers don’t receive money from anyone for the work that they do. They do it out of love—often at great emotional and financial cost to themselves. A physical caregiver may have to quit his or her job in order to care for their loved one. They may need to work from home and experience increased isolation. The need for specialized equipment or home modifications may strain a caregiver’s bank account. You can bring joy to someone who carries the brunt of physical care for another human by offering to run errands. Spend time visiting—either the patient or the caregiver—and bring along some joy (find out ahead of time what that would be. Every person has different definition. Dark chocolate always fills me with joy). Show up. Listen. Withhold the advice unless asked. 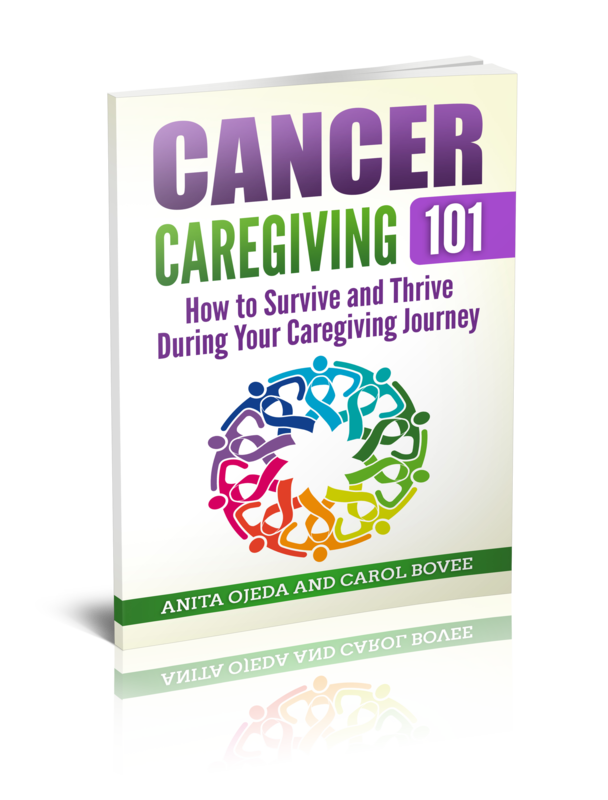 The overwhelming amount of things that he or she must do in addition to keeping the rest of the family together might cause a crisis caregiver to feel paralyzed. When Pedro received his cancer diagnosis, I had so much to do that at times I didn’t know whose house our kids had spent the night at. Thankfully, kind friends made sure the girls made it to school each day—complete with clean clothes and a sack lunch. You can bring joy to a crisis caregiver by enlisting help from church members, co-workers or neighbors. Groups of people can pitch in to bring meals, take care of children, mow the lawn, shovel snow, or buy groceries. Don’t forget to check in with the caregiver to make sure no one in the family has dietary restrictions. Once again, listen more than you talk and only give advice when asked. The key to remember when talking to #caregivers is to forget dispensing advice. Just listen. No matter what type of care a person gives, knowing that they don’t serve in a vacuum can bring joy. Use social media to pass on a Bible verse, a beautiful photo, an encouraging song, or words of affirmation. Just remember to respect the caregiver and loved one’s privacy. Don’t be the one to announce to the world that Susie’s husband has cancer by a careless Facebook post or tweet. During this season of good tidings and great joy, what will YOU do to come alongside a caregiver? 3. Spread the cheer THREE ways! Tweet something from a post you read, share a post on your Facebook page, stumble upon it, pin it or whatever social media outlet you prefer–just do it! Please link back to this week’s post or add the button to your post so that we can spread the inspirational cheer :). Are You Willing to Let God be Sovereign in the Situation? Definition of a Caregiver: YOU!